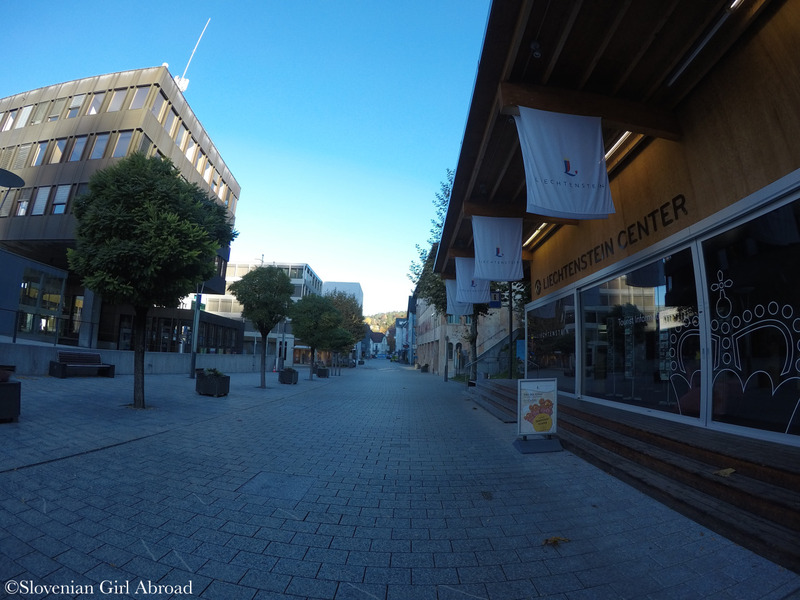 What we’ve learned while visiting Vaduz is the following: the Principality of Liechtenstein is tiny country – it covers the area of only 160 square kilometres. Its capital Vaduz is administrative, financial and cultural centre of the country and is also tiny – only about 5000 people live there. Despite its small size there are quite a lot of things to see in Vaduz: the Old Town, the Castle Vaduz, the Post office and Stamp Museum, Liechtenstein Museum of Fine Arts (Kunstmuseum), which houses one of the oldest private collections in Europe, and the National museum, which showcases the history of principality. We strolled around the town, past the government and parliament buildings and all of the museums. 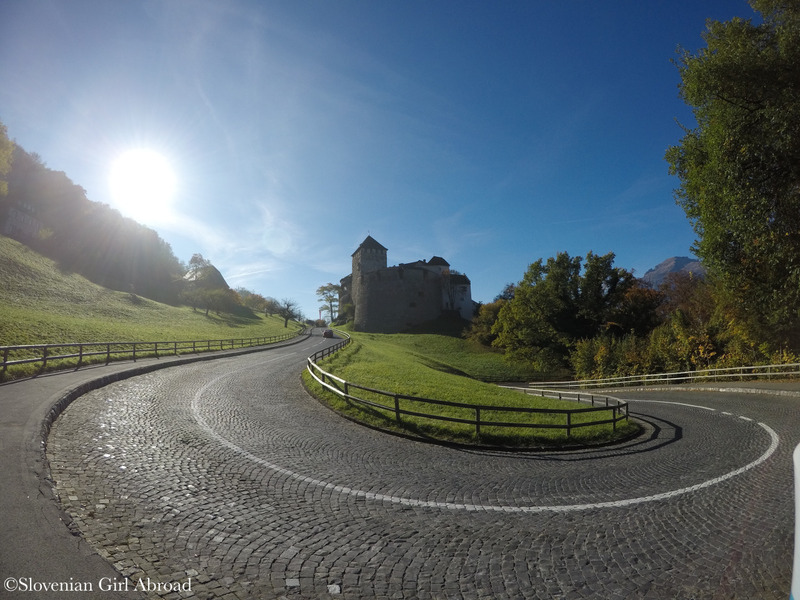 We walked to Vaduz Castle which lies on a hillside 120 meters above Vaduz. The majestic building is nowadays a residence of the princely family and is unfortunately closed for public. Despite we couldn’t visit the castle we didn’t regret walking uphill to see the castle up close. We saw the cows peacefully grazing at the pasture by the castle. Also, the panoramic views from the top were great. 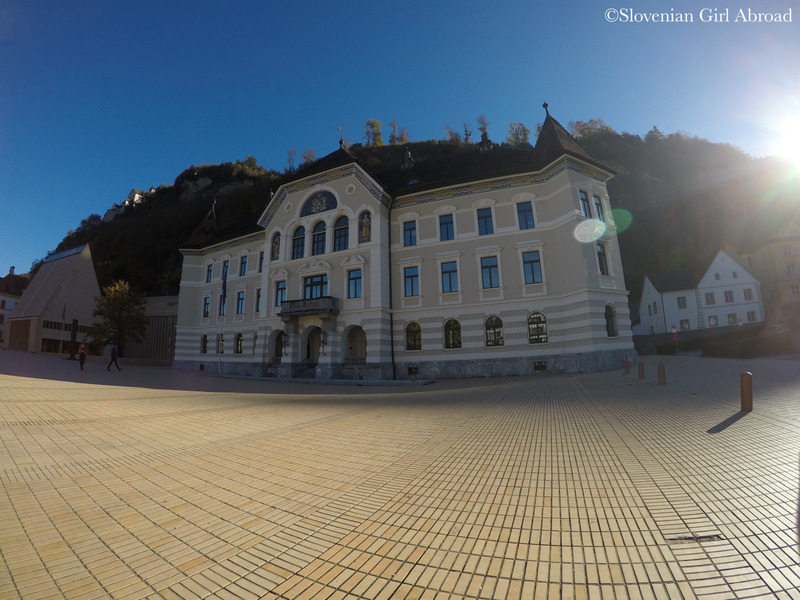 After we returned back to the old town, we’ve spontaneously visited the Post office and Stamp Museum, conveniently located in the centre of Vaduz. 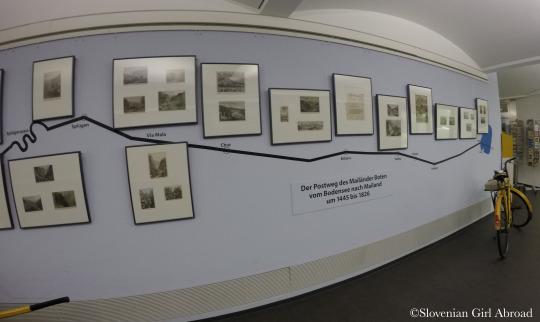 The museum presents the history of Liechtenstein’s postal service by exhibiting historical documents, photos, devices and equipment used by postal workers, postage stamps, its designs, test prints and needle plates. The highlight of the museum is its collection of postage stamps issued by Liechtenstein from past to present. The exhibition is presented in very traditional way, some might found boring. Most of the presented objects were nice, but I just wish they would be presented in more exciting way. I lost interest to learn more about the presented topic pretty quickly. 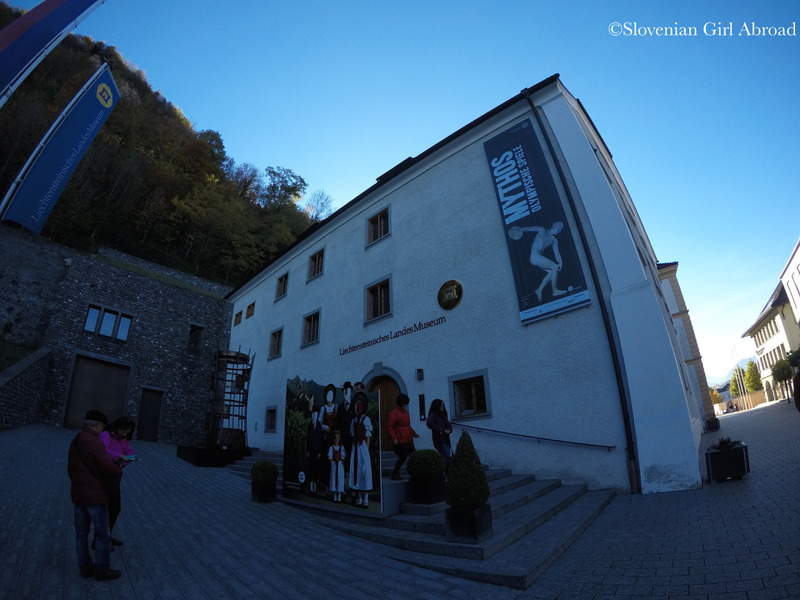 To sum up, I think Post office and Stamp Museum is not the most exciting, nor the most informative museum I have ever visit, but it is still nice small museum to visit while in Vaduz. 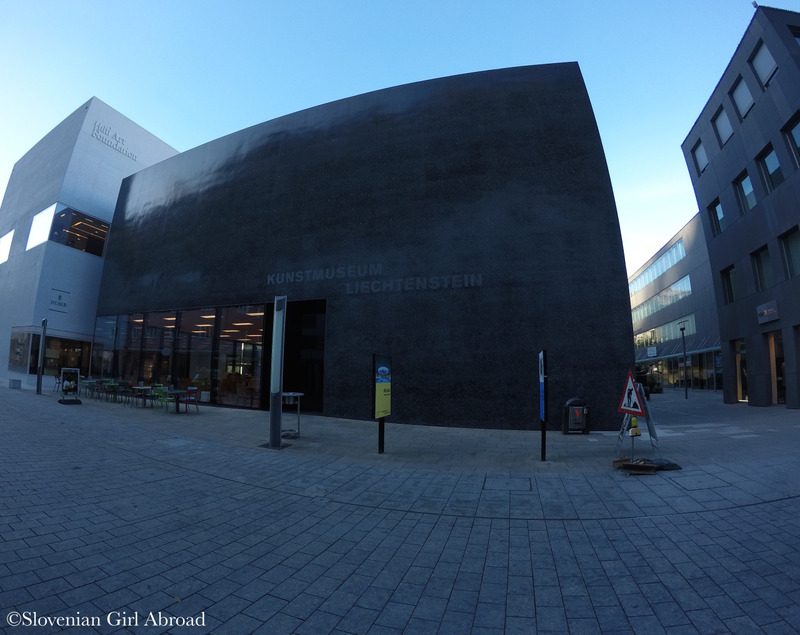 It’s admission free, unlike some other museums in Vaduz. After the museum visit, we strolled around the old town for a bit, before we returned back home to Luzern. No, I haven’t. I didn’t even know that’s possible. If you are not a visa-stamp collector, I guess you can skip it 🙂 I have read that the Tourism Office will issue a stamp on your passport (like a visa) for a few CHF. Thanks for stopping by. Enjoying reading your escapades. Nice pictures ! BTW, thanks for still hosting #citytripping. After some absence, it was good to participate again. 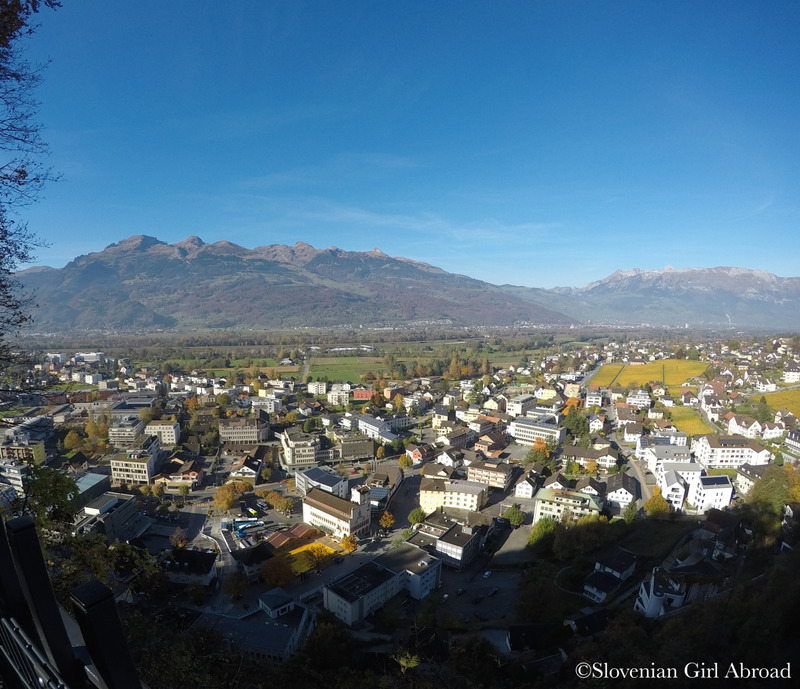 I wouldn’t travel to Liechtenstein just for the sake of visiting Vaduz. It’s lovely, but it’s but it is tiny and few hours are more than enough to explore it. But if you’re in the region, I think, Vaduz is a nice place to add to your itinerary. 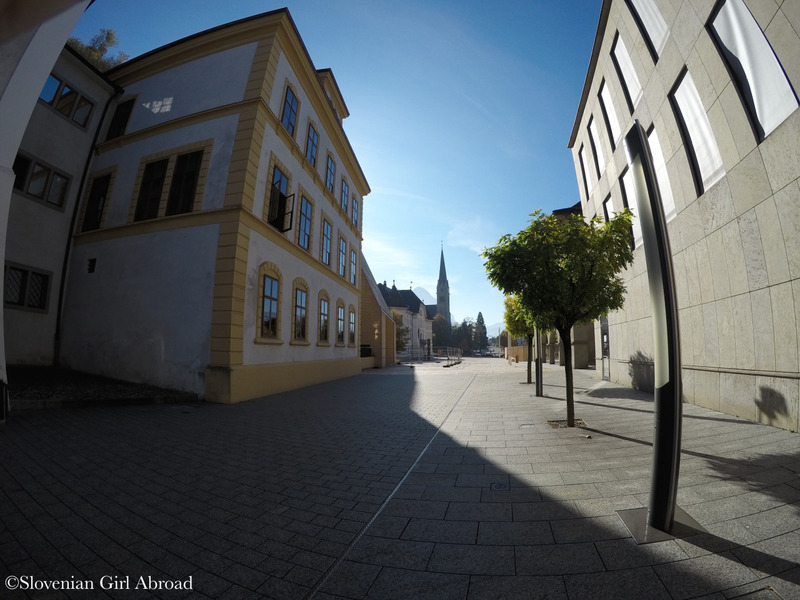 Thanks for hosting another great #citytripping linkup! I’d really love to explore Liechenstein. It’s always fascinated me. Thanks for giving me a sneak preview on #FarawayFiles. I used to collect stamps so I’d be interested to see the stamp museum too.